Spacious home with wrap around deck overlooking the breathtaking 11th fairway at River Hills Golf Course. 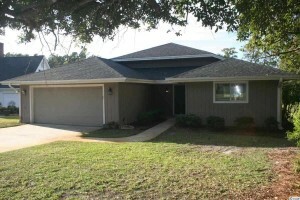 All rooms are very spacious and living/dining area features vaulted ceilings and ceiling fan. 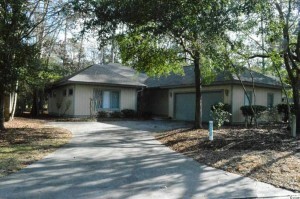 Kitchen is fully equipped and there is a large pantry and a laundry room leading to the two car garage. Master bedroom suite features a garden tub, double vanity and shower, not to mention an over-sized walk-in closet. There is also a Carolina room that is not heated or cooled but could be. Home has new carpet, tile and has been painted through out. House and deck will be pressure washed and deck will be stained and rails painted. This home shows well and you will love the views from the deck! Ocean Keyes is an upscale gated community located in North Myrtle Beach which is just a short walk or golf cart ride to the Atlantic Ocean and beach. 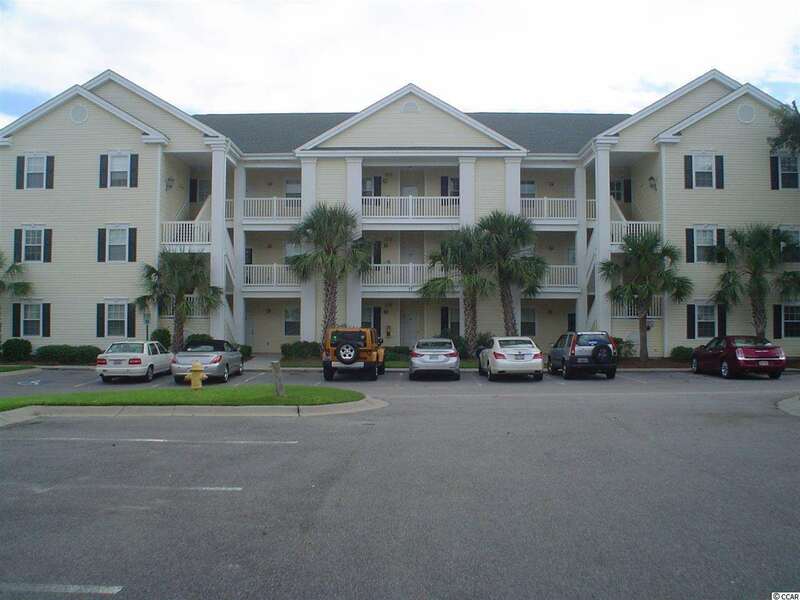 This fully furnished 2 bedroom, 2 bath Hatteras unit is beautifully decorated and is on the first floor with a full view of the pool area, and exceptionally landscaped surroundings. 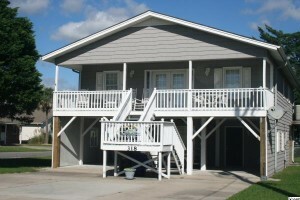 This property will be wonderful for full time living, a vacation getaway, or rental investment . Just minutes away from major Super Markets, Malls, golf courses, and attractions to keep you busy and entertained. Don’t miss the opportunity to see this unit and take advantage of the low price and today’s low interest rates. Note: Large Palm Tree in Living Room and fold-up bed in Master Closet does not convey. Impressive 4th floor corner villa in popular Ocean Keyes. 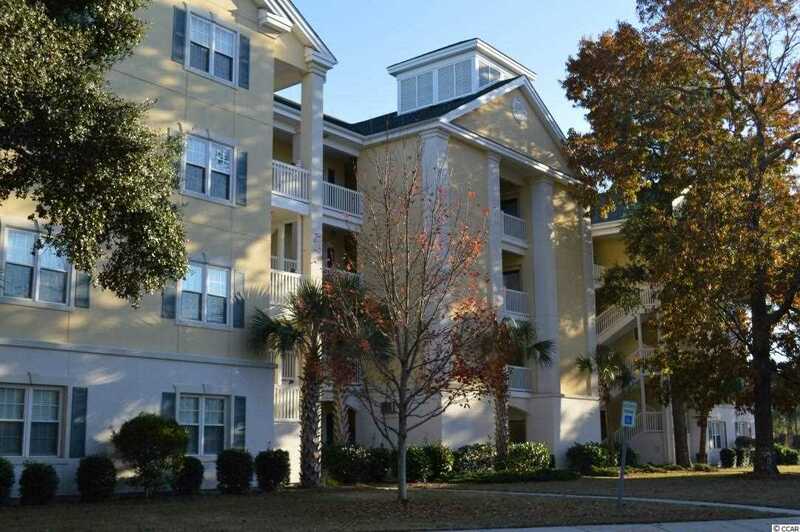 This condo has never been rented and shows like a dream. Many upgrades including granite counters, recessed lighting, tray ceiling in master suite, and raised vanities. This gated community has all the amenities you could ask for with multiple pools, workout facilities, tennis courts and easy access to some of the most beautiful beaches in the area. Great North Myrtle Beach property to buy for primary residency, second home, or vacation rental. 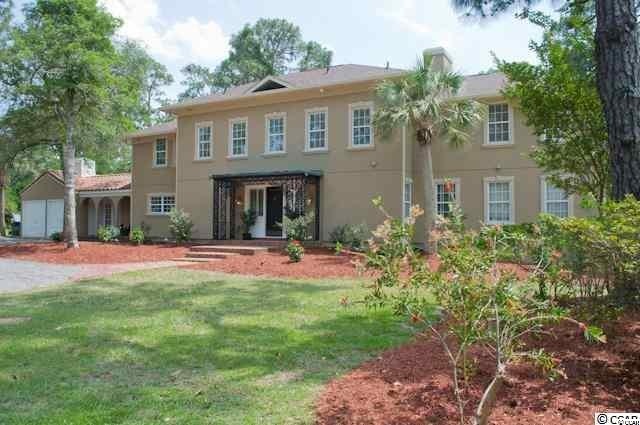 Fantastic home with many upgrades. Hurricane and UV protection on all windows that do not have plantation shutters. Oversize 2 car garage, security system, gas log fireplace, kitchen features upgraded Stainless Steel Appliances, granite counter tops and tile backs plash. Screened porch with a great view of the lake with two additional patios. Open floor plan with vaulted ceilings with palladium windows and transoms. Carolina Room opens to a screened porch which overlooks the lake. Fenced in yard with 2 patios makes for excellent entertainment areas. Travertine tile throughout the house with the exception of the bedrooms. Master Bedroom is massive with its own sitting area with his and her walk-in closets. Master Bath has a whirlpool tub, upgraded shower and vanity areas. Bonus room can be used as an extra bedroom or Study. This home is located close to shopping, dining, the ocean, and numerous attractions to include the new North Myrtle Beach Sports Complex. This updated property shows very nicely and has been well maintained by the Seller. New roof was replaced in 2000. Main HVAC mechanical system was replaced approximately five (5) years ago. Currently this house is under termite bond with Dodson Pest Control Company. For those who are interested in a master bed and bathroom on the ground level… the garage is plumbed for conversion into a master bathroom for the master bedroom/garage transformation. There is additional land for adding on another garage. A ground floor master suite is much easier to consider under these conditions. Come take a look at this wonderful home and community where memories are bound to be created. Just bring your family and enjoy the gated low country life at it’s best! Great local history and spectacular craftsmanship has been preserved in this beautiful historic residence that has recently been renovated. 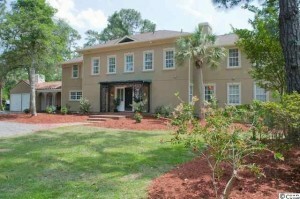 The home was one of the first residences in Pine Lakes and was designed by the renowned architect George Kosmac. Located on a large lot nearly one acre in size, the home is situated for complete privacy with the use of natural and landscaped vegetation. 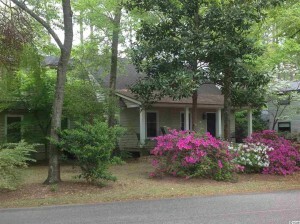 This historic home is surrounded by lush large magnolias, oaks and southern pine trees. The French doors off the living area and breakfast room take you to the patio and pool which is ideal for outdoor entertaining. This home offers 5 bedrooms, 3 full baths and 1 half baths. Recent renovations to the home include all new wiring throughout the property, new panel boxes, much of the plumbing system, 2 new HVAC units with new duct work for each level of the home, and a new roof. The exterior finish was replaced with commercial grade stucco with foam insulation. Original features that have been preserved include the oak and pine hardwood floors, detailed woodwork and moldings, tile roof over garage and breezeway and detailed custom iron work on the front porch and iron gates at the driveway as well as outdoor iron fountain. Each room is very spacious with a well flowing kitchen to dining to living room design on the first level. The kitchen has a large walk-in pantry and an extra room off to the side. The large master suite with beautiful heart of pine flooring is also located on the first level and has a large bathroom area complete with a changing room with built in cabinets and unique tile flooring. There are four large and spacious bedrooms upstairs with two full baths. An inviting patio located above the pool area is also on the upper level. The irregularly shaped pool is located in the back yard, completely surrounded by large mature palm trees. The pool has been upgraded to an ionizing system for low maintenance and also has a removable safety fence. A large tiled patio area with metal sculpture is also featured here that is perfect for outdoor entertaining. Large metal gates welcome you at the front driveway. A two car garage with large workshop in the rear attaches to the home by beautiful breezeway. Other exterior features include an outdoor shower, well and irrigation system. 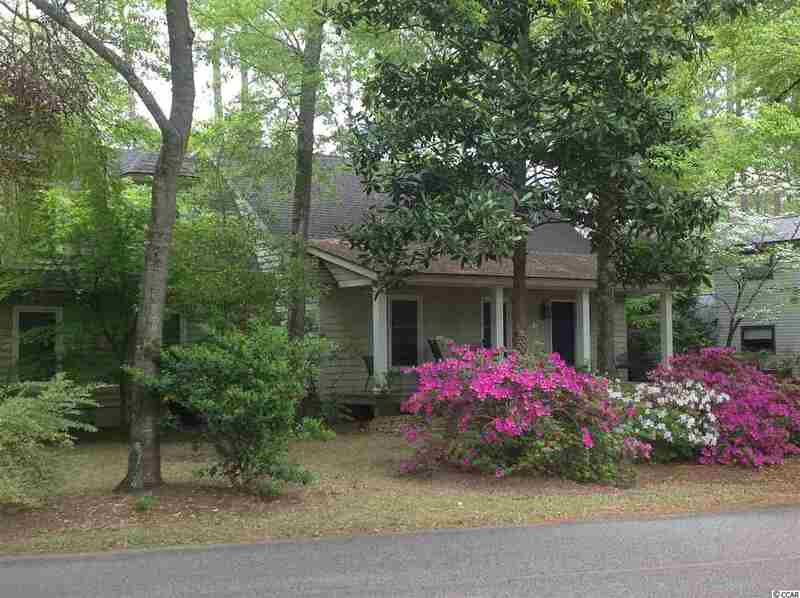 A flowing creek is also on the premises and additional natural yard yard space is situated on the opposite side. This is a great opportunity to own a unique home with documented local history. 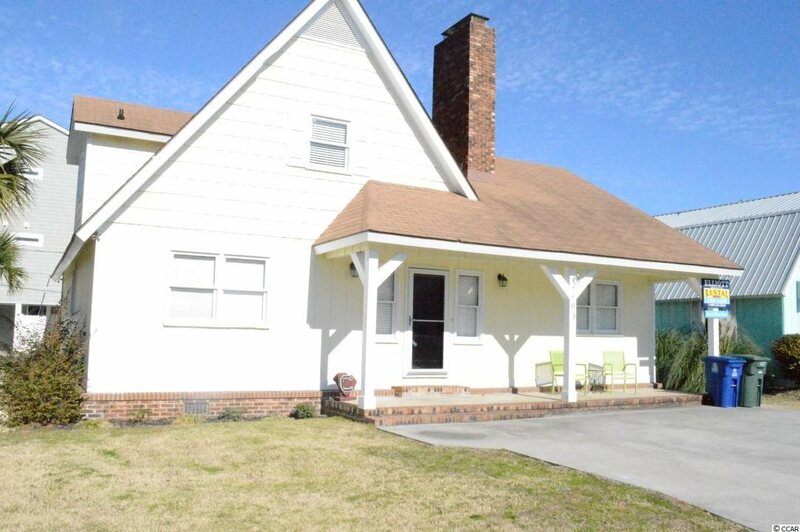 FALL IN LOVE with this large 2600 heated square foot pristine beach cottage just a few blocks to the Grand Strand. It features living area with fireplace, great room with dining, eat in kitchen, four bedrooms and three baths. This home sleeps 16 AND includes your own pool within the fenced back yard. This home is nicer than your normal cottage and you must look inside to appreciate its charm! Embrace the ambiance as you enter this beautifully appointed home inspired by Williamsburg. 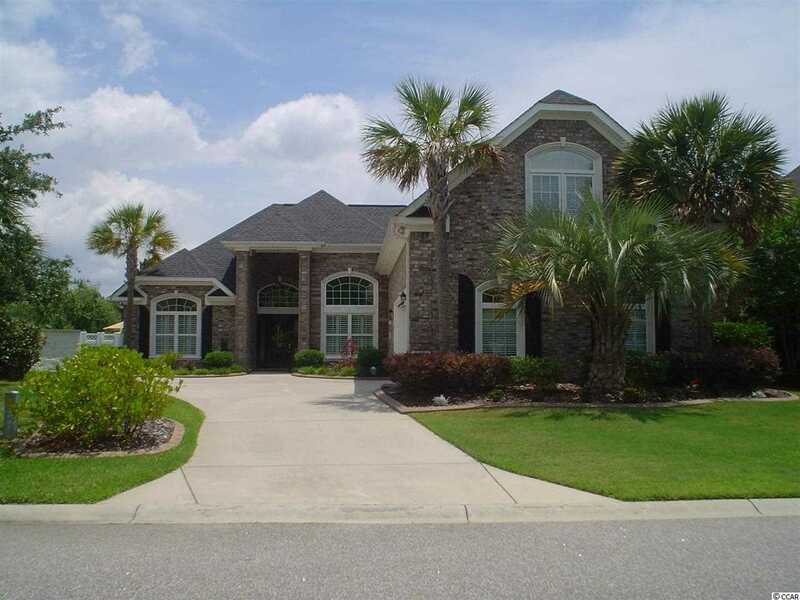 This low country home is elegant in its simplicity and features an open floor plan that comes with a kitchen any chef would be proud to call his own with its 6 burner gas stove, double ovens, cherry cabinets, flooring imported from England, granite counter tops and over sized pantry. In the dining area there is a replica of Chowning Tavern in Williamsburg. Other floors are antique heart pine and windows are by Pella and covered by plantation shutters. there are also hurricane shutters in case of bad weather. In addition to the living, dining and kitchen areas, there is a family room with built-ins, a sun room, master suite with his and her bath and large laundry room. Upstairs features four large bedrooms, one of which is being used as a study. Beneath the home is a four car garage with a workshop unlike most you have seen and also over-abundant storage. 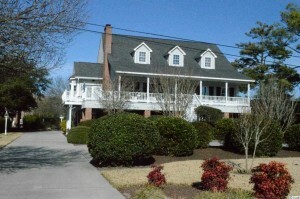 All of this is located one block to the ocean or The Surf Club in the heart of Tilghman Estates. There are two air conditioners which were put in in 2008. The home is heated with natural gas. There are 6″ exterior walls, Lt. Moses Willard light fixtures, Ball and Ball interior light fixtures and wormy chestnut walls in the baths. This remarkable all brick home is just what you’ve been looking for…only steps to The Surf Club or the beach yet nestled into the heart of the neighborhood in Tilghman Estates. The well-manicured yard is beautifully kept. 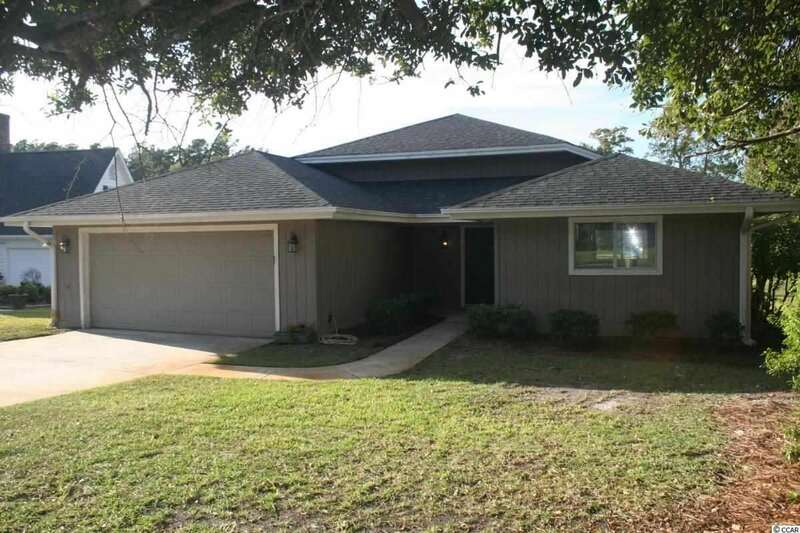 Great floor plan features formal living and dining as well as sun room, eat in kitchen, three nice sized bedrooms, two and 1 half baths and a two car garage. Don’t miss this lovely home.